Turning raw materials into consumer products generates waste - depending on the technology used, the nature of the raw material processed and how much of it is discarded at the end of the chain. 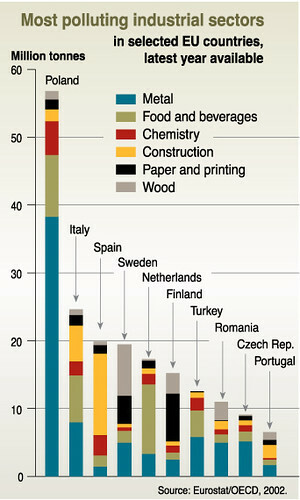 Very often manufacturing wastes end up in the hazardous category. (please note that the Italy figure is not consistent with the source reference, and is erroneous).